Alterna 2 Minute Root Touch - Light Brown is the perfect way to keep on top of roots and grey hairs in between visits to the salon. 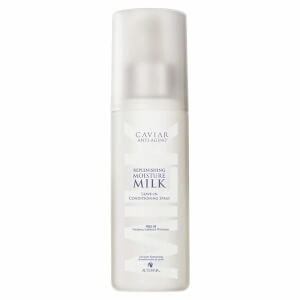 The fast-drying and flake-free formula gives complete coverage, and washes out in just one shampoo. Free from ammonia, peroxide and syntheic colour, it safe for coloured hair. Water (Aqua), Alcohol Denat., Butylene Glycol, Aluminum Starch Octenylsuccinate, Isopropyl Palmitate, Kaolin, VP/Eicosene Copolymer, Stearic Acid, Acrylates Copolymer, Isopropyl Myristate, Polysorbate 80, Glyceryl Stearate SE, Magnesium Aluminum Silicate, Triethoxycaprylylsilane , Hydroxyethyl Acrylate/Sodium Acryloyldimethyl Taurate Copolymer, Squalane, Polysorbate 60, Stearalkonium Hectorite, Propylene Carbonate, Cetyl Alcohol, Caprylyl Glycol, Ethylhexylglycerin, Hexylene Glycol, Aminomethyl Propanol, Disodium EDTA, Phenoxyethanol, Fragrance (Parfum), Titanium Dioxide (CI 77891), Iron Oxides (CI 77491, 77492, 77499).